Superhero and former X-Men member James Howlett (Aka. 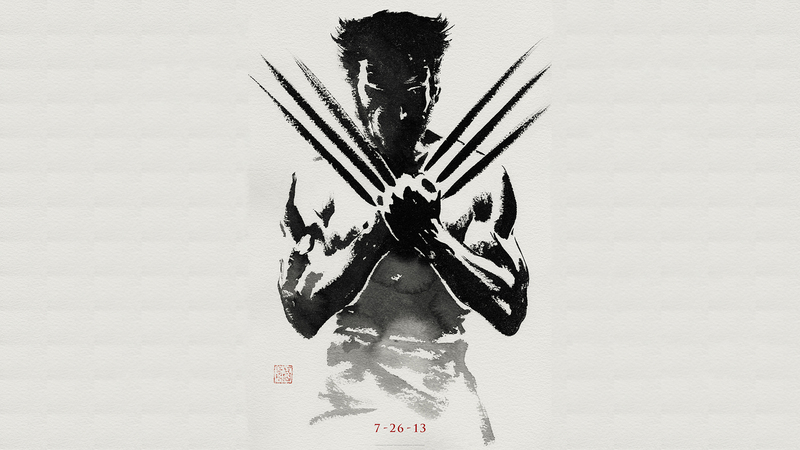 Logan / Wolverine) has spent the time following the events of X-Men: The Last Stand in self-imposed exile, having been emotionally shattered and left with little reason to live. Logan is tracked down and brought to Japan by Yukio, a woman working for the powerful and influential Yashida company, the head of which has unfinished business with the famous immortal Mutant. We’ve had a lot of superhero films since “X-Men: The Last Stand” was released in 2006 and the genre has undeniably moved on from what it was at that time. Since then we’ve had superhero films that have either rode the trend pushing this genre towards a more mature audience or have bucked the trend and fallen flat on their faces as a result. Which of these two categories does “The Wolverine”, a character audiences have not seen for quite some time, fall into? I would say that it certainly brings the character into a more gritty and mature light but it unfortunately falls by the wayside somewhere in the film’s third act. The story begins with us being re-introduced to Logan (Hugh Jackman) in a self-imposed exile in the Canadian wilderness following the earth-shattering events of X-Men: The Last Stand. This is Logan like we have barely seen him before: Completely shut-out from society and literally living the life of a caveman whilst being tormented by vivid hallucinations of his former flame Jean Grey whom he was forced to kill during The Last Stand. Logan is tracked down by a Japanese woman called Yukio (Rila Fukushima) and brought to Japan at the behest of her employer Yashida who was formerly an officer in the Japanese military during World War Two now turned mega-industrialist. Yashida owes Logan a life debt for an act of incredible bravery during the bombing of Nagasaki and urgently wants to speak to him again. Yashida in his old age is on death’s door and, fully aware of Logan’s stupor and discontent with immortality, offers Logan the chance to bestow his immortality on himself so he can live and Logan can finally die peacefully. Before any decision can be made Logan is forced into action to protect Yashida’s granddaughter and heiress Mariko (Tao Okamoto) from the Yakuza, a task made immensely difficult when Logan’s healing powers begin to inexplicably fade. The story for this film is partially lifted from an incredibly popular story arc revolving around the title character written in 1982 by Frank Miller and Chris Claremont. 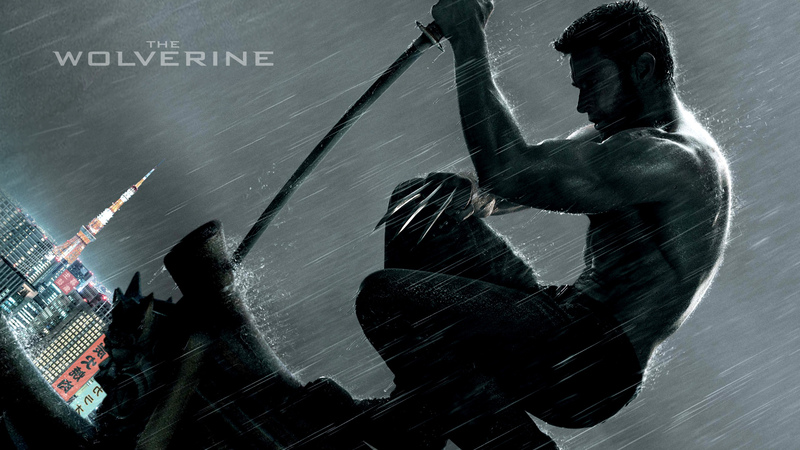 Having said that it should come as no real shock that the character and mindset of Wolverine is the film’s main focus. The film is actually quite artistic even by this genre’s standards. Not only are the vistas of Japan quite something to marvel at but the use of Japanese art and imagery gives this film an air unlike any other superhero film seen up until now, and considering how many superhero films we have had recently that is really something and totally worthy of praise. Sometimes characters do not even need to say anything in order to communicate a point. The opening scene does this very well when it shows Logan encountering a wounded bear in the wild that he decides to put out of it’s misery. That bear actually reflects Wolverine at this point: a wounded animal who only wants an honorable death. Less fleshed out but well-done enough arcs include Logan learning to let others back into his life and him again coming to terms with his bestial nature whilst not losing his humanity in the process. Logan indeed struggles with keeping his feral nature in check, especially during the combat sequences in the story which are mostly well-shot. Whilst the violence and the frequency in which it appears is a notch above your average superhero film the blood and gore has been obviously toned down to constitute the PG-13 rating, which doesn’t make a whole lot of sense when you see that Logan is literally eviscerating his opponents in ungodly ways with little to no blood. Whenever Logan is not fighting to protect Mariko he is gradually getting to know her better and the relationship which forms between them is genuinely interesting but unfortunately becomes undone with the ludicrous plot developments in the film’s third act. It’s almost as if screenwriters from the modern age of superhero cinema ran the show for the first two acts before completely different writers with the mind set of Sam Raimi’s “Spider-Man” or worse took over the show. The third act is not anti-climactic… It just makes no ****ing sense considering the good work done building Logan’s character from scratch and developing his relationship with Mariko and Yukio. I won’t spoil it because it is a fairly massive spoiler but you should still be aware of it. If I had the option of re-writing the third act I certainly would… I’m really at a loss to understand why the story went the way that it did as it undercut what was shaping up to be a powerful and emotional climax to a genuinely good character study of a fallen hero. Be sure to stick around for the mid-credits “Stinger” as it is easily the best of any Marvel film to date and features characters you will be thrilled to see again. + It’s good to see the majority of the characters actually speaking Japanese in Japan, that could have been easily screwed up. + Interesting insight into the facets of Japanese society not usually thought of by the wider world. + The first two acts are strangely artistic through use of Japanese imagery and subtle visual metaphors. + Hugh Jackman is impressive as ever in the titular role. + It genuinely tries to stand out from the crowd of superhero films. + Action scenes are well shot. – Action scenes have clearly been neutered, in terms of blood and gore, in order to meet requirements for a PG-13 rating. The film should have just gone whole-hog with it. – Earth shatteringly stupid plot developments in the third act. You know, I passed over this movie last weekend in favor of Pacific Rim. I might give this one a shot… I still have another week until Elysium comes out. I’ll just prepare myself for the ridiculous plot developments by bringing extra M&M’s. Put your e-mail address here and you'll get updates whenever I post something! Curtain Call for "The United Kingdom"?